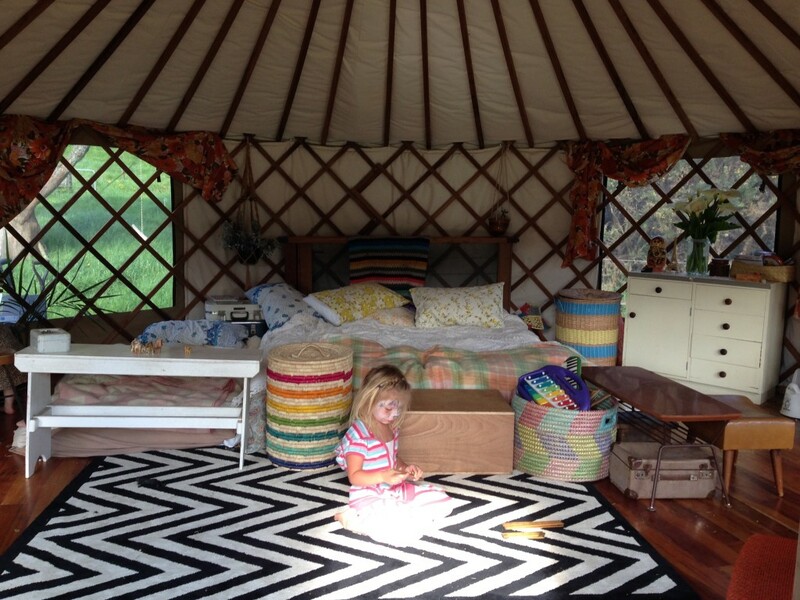 One month down in our little yurt on our new land! 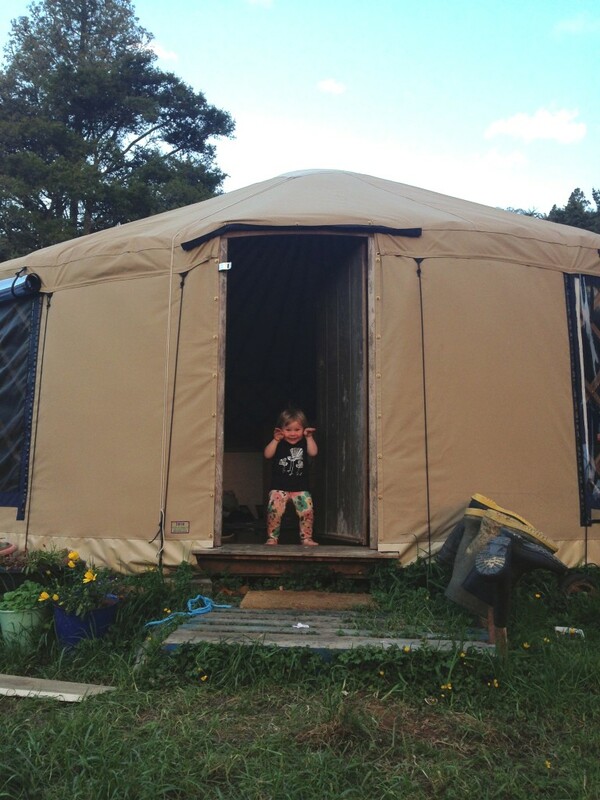 Turns out yurt living is GREAT in spring, when the shine is is still there! It’s funny how quickly we have settled into a much more simple life. Not so much simple amenities – while we don’t yet have a bathroom or a kitchen or even hot water we DO have an industrial size espresso machine and coffee grinder and a washing machine and a hoover. (We get junked up on caffeine and have a wild time doing housework) I mean simple in terms of activities. Since moving onto the land our days seem to have been stripped back to just staying around the yurt, looking for eels in the stream, playing with modelling clay, having a little walk. The kids are totally thriving on these days – despite the ominous start; our first morning, in bed, and I’m sooooo excited, like “Ramona! What shall we do today?! Climb a tree? Swim in the river? Make mud pies? !” and she said “How about we go to Soft Play and then the Drive Thru?”… she is an urbanite, for sho, that girl. Tim and I are like excitable Scouts. It is basically like the best camping holiday EVER. A never ending camping holiday! It’s the stuff dreams are made of! with the exact right tying-to-remember-but-also-a-bit-bamboozled expression on her little face. So yes, that is us, one month in. Clock back in soon for updates… although you and I both know that from here on in it is just gonna be photos of the kids, the ducks and the puppy all having a snuggle together. I find your blog inspirational, we are yet to begin our adventure but you’ve inspired me to make it a reality! Buying a puppy isn’t necessarily unethical, they don’t all come from horrible puppy farms! No, however it is on a supply and demand basis. The less demand for puppies, the less will be bred, the less requirement for horrible puppy farms. It is also depriving another dog of a happy life that could be put down otherwise. *Waves back* Thanks for the shout out lovely! I’ve often wondered (and I know it’s truly none of my business so feel free not to respond) but if one or both of your girls is more interested in ‘conventional’ living as they age, would you consider trying that again per their request? I know you and Tim are so very big on children’s rights and their autonomy so I’ve been curious what you think you might do if one of them desperately wants to live in a house or go to school or live in a city. Your mention at the beginning of Ramona being an ‘urbanite’ piqued my interest. Wow looks like our ideal life and what we dream of. The only thing that stops us the money.. How do you afford to live and get set up in the first place.? I understand you are living a much more frugal lifestyle but just wondering how you made the move and sustain it financially? Most people I know who live in a similar way in Portugal had inheritance, another property they rent out or do some sort of job they can do from a computer anyway. My husband is a decorator but would like not to be doing that so much for his health. Would love to make it happen for us so bad! Modern life is way to hectic and hard on everyone! If I’m remember right from a long ago post, I believe that both Tim and Lucy left full-time work and also sold their house (?) I’ve always assumed they used the proceeds from the sale and any savings they had accrued. Ah I love that you are always posting balanced glimpses of your lives….loos, giant insects and all. You are so very inspiring Lucy. 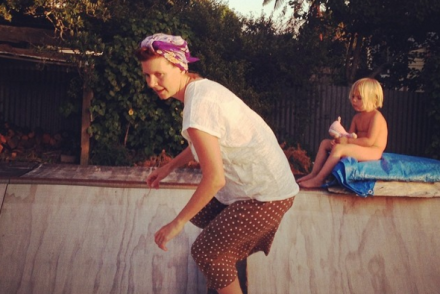 I’ve been reading your blog since my boy was a tiny babe in arms and I struggled to find others who were cosleeping, breast feeding on demand and generally following their wild instinctual selves. Now 3 years in I feel that I have found a circle of women to share this journey…and you have somehow been amidst this community…helping me answer the call of my wild self….Mothering intuitively and respectfully…putting heads above the parapet and taking our place as artists and writers….connecting with the sacred feminine…rewilding womanhood, Motherhood and childhood. My husband Matthew, 3 year old son Henry, sproodle Teacake and I are in the process of selling our east London home to move to the Blue Mountains in Australia to immerse ourselves in nature, build a house, send Henry to Steiner school and start a feminist healing practice. Thank you for your beautiful, authentic and inspiring posts which have played a role in guiding me back to a wilder, simpler, more creative self. Love to you four. Ah, wow. That is amazing! So loved reading this – read it to tim too. Your adventure sounds incredible- please visit when you holida y in NZ! I just love your set up how wonderful. I have a 4yo boy obsessed by farts and all that lovely stuff must admit it often makes me chuckle. I wish I could get my arse in gear and get into getting out more, I ised to live in the countryside and it was amazing now I’ve lived years in the town and its sapped so much from me. They’ve built houses on the land near me that was the only place remotely like the country with ponies blackberries and nature oops offload done!